The time has come for you to Navigate the World. 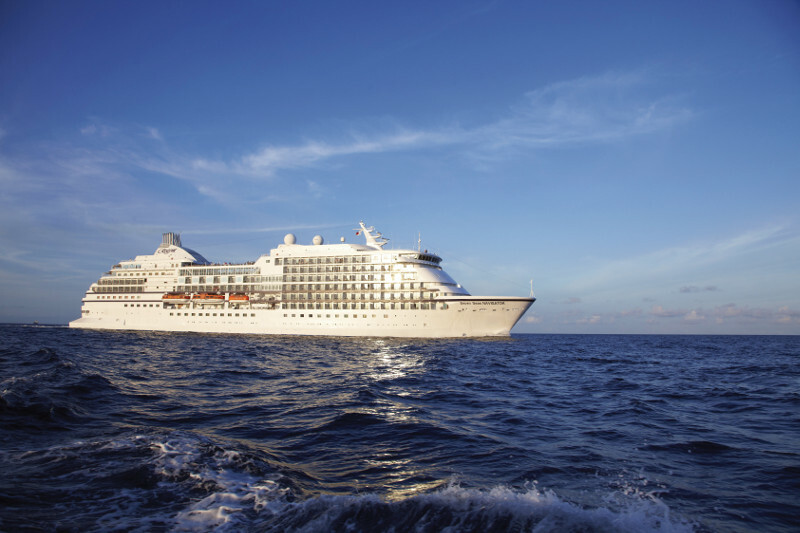 Set sail in the winter of 2017 aboard our signature world cruise and circumnavigate the globe in 128 nights. Beginning and ending in Miami, journey to 31 countries, call on 62 distinct ports and explore 29 UNESCO World Heritage Sites – all on board our most intimate and beloved ship, Seven Seas Navigator®. With space for a mere 490 guests, she is the perfect ship to dock and anchor at the world's most unique destinations, from the islands of Hawaii to the metropolis of Sydney and from the glimmering shrines of Yangon to the pink sands of Bermuda. Our 2017 World Cruise departs Miami on January 5, 2017 and returns on May, 13, 2017, after visiting 62 ports of call, for a total of 128 nights. Before embarking on this epic journey, enjoy a relaxing 1-night stay with an unforgettable gala at the historic Biltmore Hotel in Miami. Navigate the World includes calls on four of Hawaii's picturesque islands: Oahu, Maui, Kauai and the Big Island of Hawaii. In Honolulu, enjoy an exclusive onshore event that includes a sumptuous lunch at Secret Island. You will delight in an exclusive shoreside experience while in Dubai. You can choose to ride on a majestic camel or get an intricate temporary henna tattoo by a local artist – all under the Saharan sky while taking in colorful performances by Tanoura and Emirati dancers. You will be invited to dine at the famous brasserie-style restaurant Café de Paris in Monte Carlo. To commemorate the near-culmination of this epic voyage, a champagne toast will be made on the breezy rooftop terrace before stepping into the more modern Salon Bellevue where a delicious three-course dinner will be served. In addition, your youwill receive Regent's generous 2017 World Cruise Signature Amenities that include FREE First Class Air, FREE Door-to-Door Luggage Service, FREE Unlimited WiFi, FREE Onboard Medical Services and many more amenities exclusive to full World Cruise guests.